Since our foundation, our company has made every effort for new technology and new design. As a result of our efforts, we have 5 technology patents and 14 design patents. 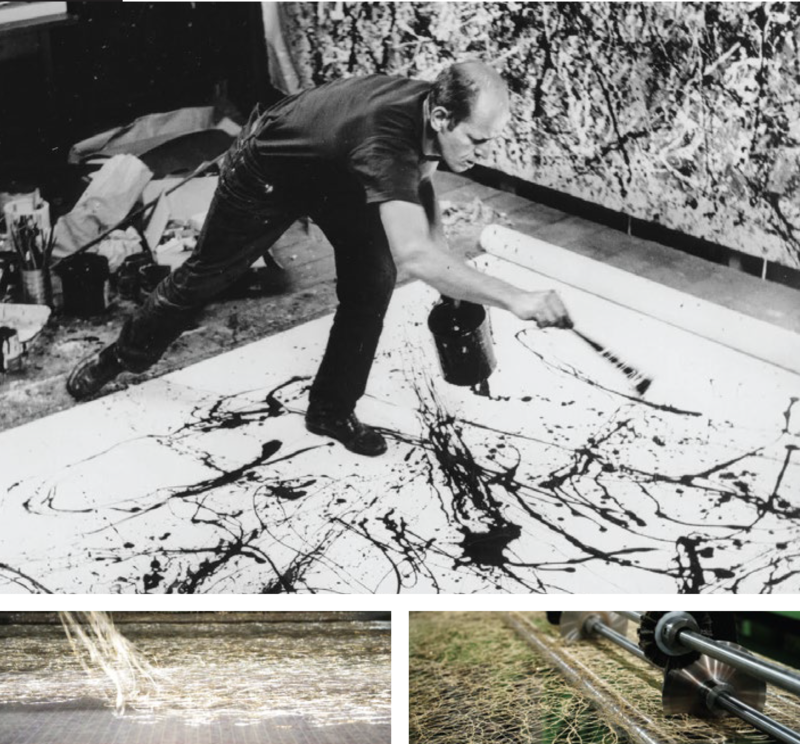 Before we are talking about our technique, I must mention about Jackson Pollock, an American abstract expression painter. The father of “Drip Painting”. The very difference between Drip Painting technique and other painting technique is who nish the work. Drip Painting is literally dripping paints into the canvas instead of painting on the canvas. By doing this, nature can intervene into the work. Therefore it can be expected very natural result. Just like J.Pollock’s “Drip Painting” technique, we have invented a way to drip the yarn and fixed. Since we incorporate nature in our process, we can yield very natural result. With this technique, we produce many variations like “SISAL / DODO / ROSE” mesh series. We launched those products successfully in Europe, USA, Japan and Russia market. The technique is binding nonwoven fabric to our fabric mesh products. We bind nonwoven fabric to mesh products by putting small bers together in a form of a web and then binding them. We were able to bind them very soft and thin. There are not many manufacturers capable of this process. 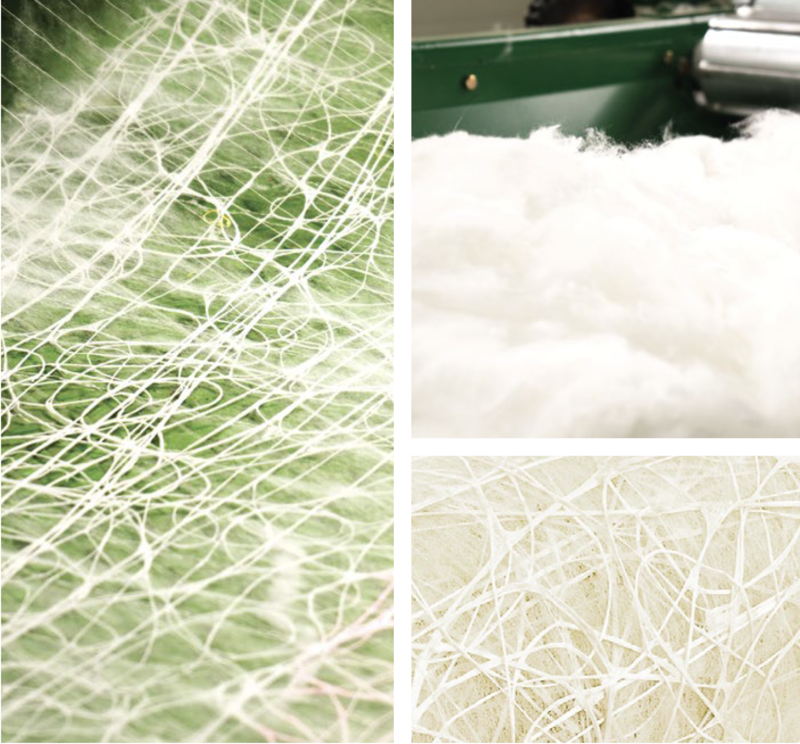 As a result of our investment in facilities, we are able to process from yarn to product in one single factory. In other words, we are able to save production lead-time and cost.